DTL Marquee Hire offer a modern touch of elegance & style! 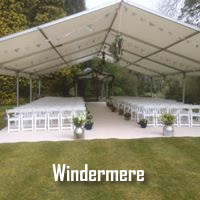 We are a family run business that have built up a good reputation over the past 13 years, for delivering quality marquees for hire across Cumbria, North Lancashire and Southern Scotland on time, working with the customer to ensure their perfect day is perfect. Don’t compromise on your big event.